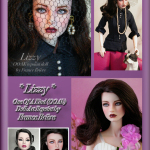 At Work Lizzy – OOAK repaint Fashion Royalty doll by France Brière. 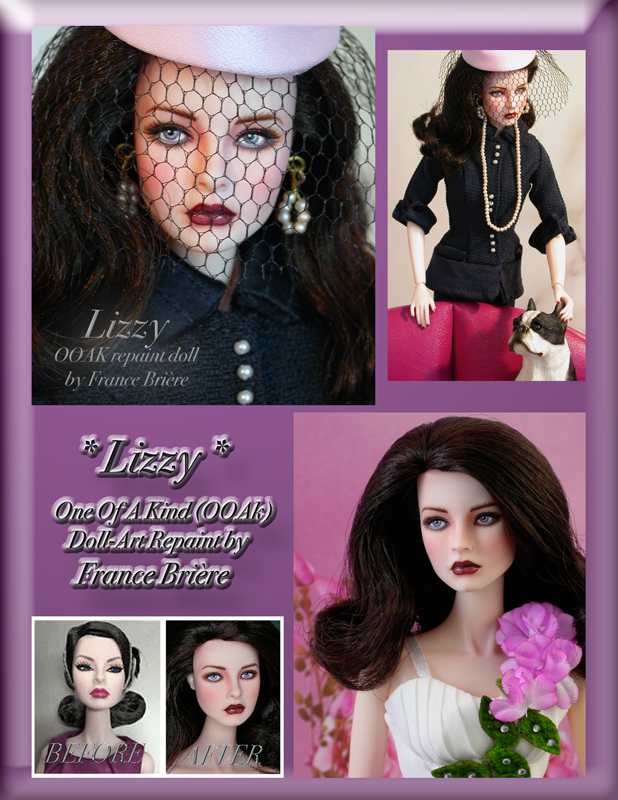 Lizzy – OOAK repaint Fashion Royalty doll by France Brière. This week I have a Fashion Royalty Agnes Von Weist doll repainted and transformed into this blue eyes beauty. This doll has a very pale body that contrast perfectly with her dark hair. If you would like to see more pictures, or read all about her you can do so by clicking on this link: eBay auction.